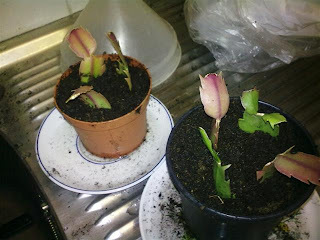 Then you plant them in soil, I used normal potting soil, and keep it a bit moist but not too wet. At first, the leaves will wrinkle a bit, as if they're drying out and dying. But no worries, that's normal. After a few weeks, they'll get roots and start looking healthy again. 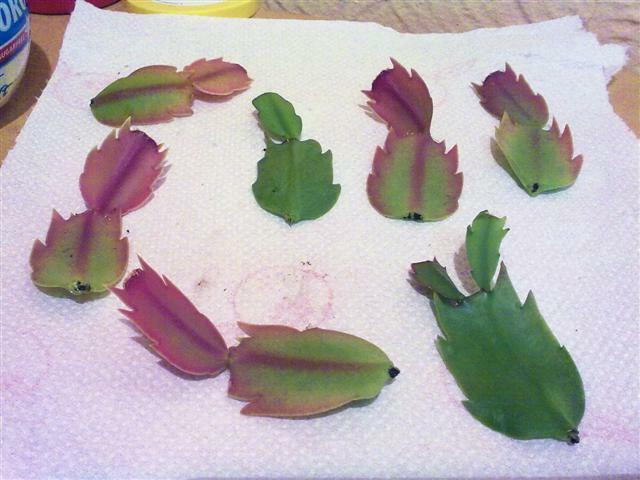 And before too long, they'll start growing new leaves of their own.